Living... in a small suburban house in the Tri-County Area with his parents and two of his three brothers. The Wilkerson home is usually in a state of complete disarray, both in cleanliness and in the mental states of its occupants. This is largely due to the extremely close-quarters living situation and the regularly occurring fights between the three young boys -- all of whom share a single room -- a domineering mother, and an aloof father. Profession... full-time student. But Malcolm has had various short-term jobs such as babysitting, tutoring, and working at the same Lucky Aide drug store that his mother worked at -- completely at his mother's insistence. Interests... being a regular kid. Above anything else, Malcolm just wants to be normal. But he has a 165 IQ and is thus “forced” to take classes for gifted students, which the other kids mock. Toss in his outrageous family, and being “normal” is indeed an elusive goal for Malcolm. Relationship Status... engaged in an endless, mostly fruitless struggle with girls. He’s fumbling through his earliest stages of flirtation and romance. He has "dated" some girls (in the way that middle school/high school-age children date) but generally messes up the situation through his over-analysis and lack of experience. Challenge... dealing with the downsides of being a genius. It causes him to over-think trivial situations, gets him in trouble with authority figures who feel they should be smarter than him, and most frustratingly, it forces incredibly lofty expectations upon him from his family. 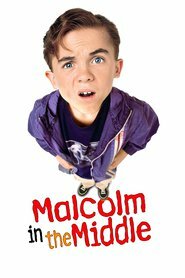 Malcolm is usually turned to first for advice in his family when anything goes awry, and sometimes gets blamed if he can’t solve the problem: "Well, if you're so smart, why didn't you figure it out?" If you ask Malcolm, his super-smarts are more a burden than a benefit. Of course, he might feel differently when he’s an adult. Personality... constantly walking the fine line between youthfulness and maturity. He is extremely intelligent and passionate about school and learning, but still fights with his brothers, pulls pranks, and generally lacks foresight like most young teens. With his big brain comes some baggage -- an ego from feeling superior to everyone around him, and a sense of pity and embarrassment for his relatively "low-brow" family. He doesn’t really want the extra responsibility he seems to have compared to his brothers and peers. As he once put it, "Why plan my future when it's just gonna be a wall of paint crashing down on me? I'm just gonna enjoy being a kid again." Malcolm Wilkerson's popularity ranking on CharacTour is #1730 out of 5,000+ characters. See our top-ranked characters and read their profiles.